If you’ve been listening to the Ryder Cup going on in the background for the past few days as I have, you would have sometimes found yourself mimicking the Scottish accent of the commentator. Despite your wild protestations that you don’t engage in such behaviour, I know you did… even if you did it under your breath. Last night, while watching yet another bout of Team Europe wiping the green with Team USA (I really couldn’t care less about golf), and going on about Scottish weather and Scottish food (this was my version of golf commentary in a Scottish accent), I had the sudden urge to make kedgeree! I know there are disputes in the origin of kedgeree; is it Indian brought to Scotland, or is it Scottish brought to India? It doesn’t matter to me, as I am part Indian and Scottish! Woohoo! 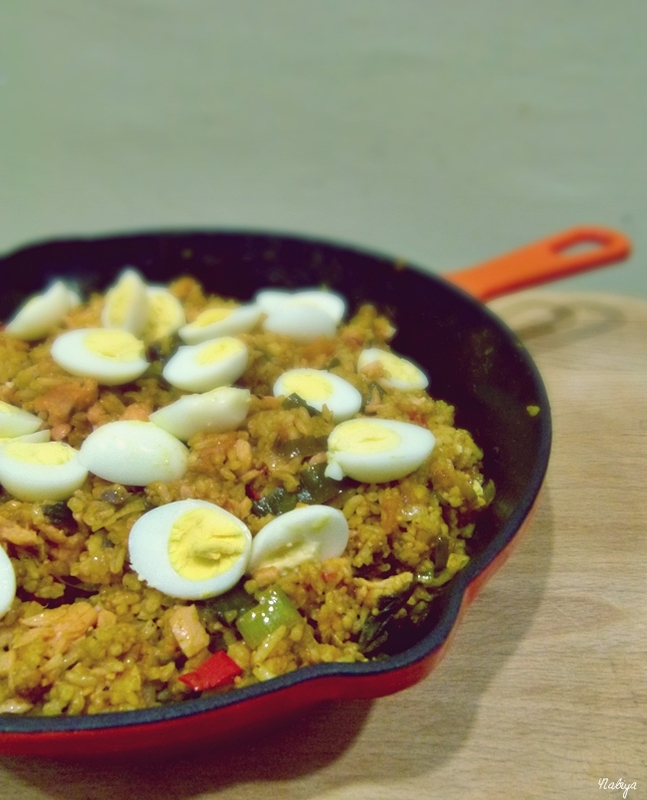 It makes me wonder then, why I’ve never made kedgeree before… maybe because the ingredients list is slightly longer than what I usually like (I’m fine with 5 ingredients, tqvm), but then I had a good look at it again, it really is quite simple!